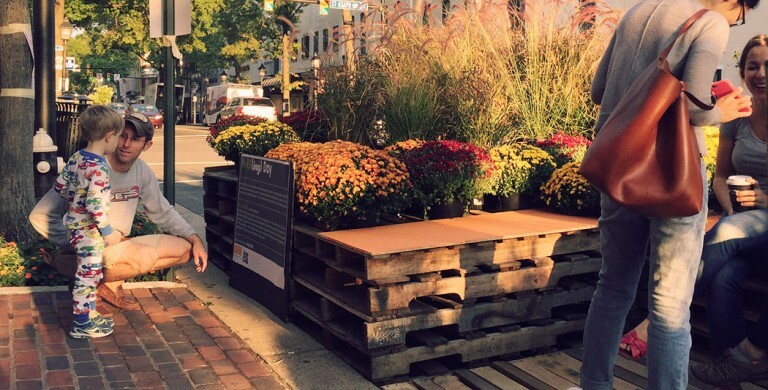 PARK(ing) Day 2015: An experiment in building great public spaces. PARK(ing) Day is a time to demonstrate the many diverse, fun, beautiful, and functional ways surface parking can be transformed into quality public space. The RHI team has had a good time designing and building installations the past couple years and this year was no different. We got into the fall spirit! Check out the blog article here.